Silikal has brought more than an apple for the teacher by providing amazing school room flooring. School room floors now are more than the receptacle of learning; they bring smiles to the children. Flooring for school rooms is now ultra clean and no longer harbors germs either. School room flooring in the olden days were always wooden floors with a certain degree of shine to it that the janitor worked very hard to keep. Not only did these floors have to be swept, then mopped, and finally waxed and then shined with additional mopping but it was a daily occurrence. Then when there was wax buildup which meant that the janitor had to strip the floor and put on new wax as well. It was not only time consuming, but very tedious. Thankfully school room flooring then was replaced with something else. 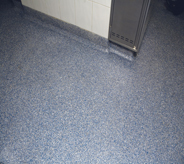 The something else was often linoleum, again in the olden days, but when spills occurred, which in schools is a daily incidence, often dirt and dirty liquids would get under that flooring. Try as the custodian might, this was impossible to clean, as the custodian could not reach under the flooring. Thus, whatever went under that flooring was allowed to foment, and turn into mold, bacteria and of course all manner of microbes, and eventually that chaos even became mold. What happened next is that strange odors would rise from the school room flooring, eventually requiring the floor to be torn up and replaced after everything underneath it was properly cleansed. That became a rather expensive proposition, and school boards tried to find better school room flooring. They eventually decided on floor tiles with various kinds of adhesive, but those too allowed liquids to go beneath them, and the same problem was replicated. At long last today we very thankfully have Silikal. Silikal has a number of very fine things going for it as school room flooring, not the least of which is that it is totally seamless. Can you see where this is going? Yes, that means that nothing can get under it to form the chaos seen above. It is what is called in the flooring business totally monolithic. In addition, unlike some other similar flooring products out there, Silikal will never develop the slightest pin hole meaning that no bacteria can even slip through, as small as bacteria are. 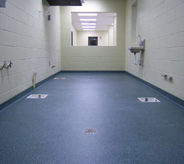 Thus Silikal school room flooring is incredibly easy to keep clean, which the janitor will be forever thankful for. But in addition the school board will finally see their way around the mounting costs of having to always replace school room flooring. That is because Silikal is the longest lasting flooring currently known. The reason is that they have formulated flooring that is made with enhanced MMA, MMA being Methyl Methacrylate, thus shortened to MMA. Note however, that the Silikal Company has created enhanced MMA. 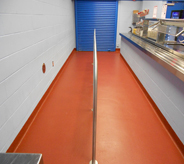 What it is enhanced with is a company secret that will never be divulged, much as the competitors would like to know, but what the enhancement has done is to lengthen the time to the ridiculous as to when Silikal flooring will wear out. Why the ridiculous? Simply because Silikal is said to be a lifetime flooring that will last a lifetime. Going back over all the trials and tribulations that school room flooring went through; Silikal has definitely created something that belongs in all school rooms.